A WW1 German Fighter Pilot, Oswald Boelcke was a great fighter pilot. 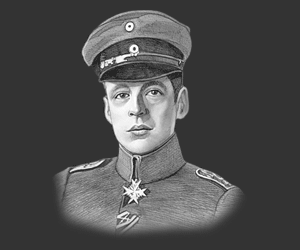 At a young age he created the Dicta Boelcke which was a set of rules for combat fighting, techniques and tactics to optimise a pilot's chances of success and survival in air battles. As a son of a school teacher, Oswald Boelcke was raised with the strong opinions of his father who was a nationalist and a militarist. When he was a young boy he suffered from severe case of whooping cough. To make up his fragile health, he was encouraged to get involve into sports so it would boost his stamina. He joined different sports like swimming, tennis, rowing and gymnastics but he did not become popular with this sports. Although he was not successful in sports, he was very studious. He does extremely well in mathematics and physics. He wrote a letter to Kaiser asking for an appointment in the military school. He was granted; however, his parents did not allow him. Instead he went to Herzog Friedrichs-Gymnasium and graduated in 1911. Oswald Boelcke was born on May 19, 1891 in Halle, Germany. He was the youngest child among the 4 children of a school teacher. He was the only one born in Germany as his older siblings were born in Buenos Aires. Their father has instilled in them in their younger years strong views of nationalism and militarism. His last name was originally spelt in German as Bolcke but his brother adopted Boelcke, the Latin spelling, although it is pronounced the same way. 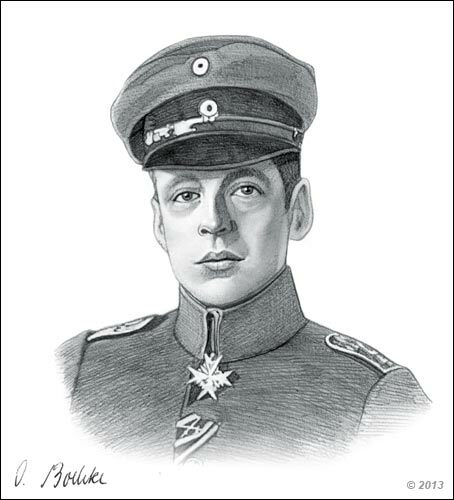 Oswald Boelcke was one of the most influential German fighter pilots during the World War I. He was also known as one of the tactician as he had created the formal rules of air fighting and techniques which was called Dicta Boelcke. He was known as the Father of the German Fighter Air Force and Father of Air Fighting Tactics. On October 28, 1916 Boelcke, together with Manfred von Richthofen and Erwin Böhme and other 3 pilots set out for a combat mission. While they were patrolling they engaged in a dogfight with single-seater DH.2 fighters. During the battle Boelcke and Bohme were unaware that both of them were attacking the same aircraft. Boelcke tried to avoid Bohme, unfortunately it was too late and Bohme hit Boelcke’s wing tearing off the upper wing of Boelcke’s aircraft. Bohme crash landed and survived while Boelcke died in a high impact crash. He may have survived if his lap belt had not malfunctioned. Oswald Boelcke is a great example of how a fighter pilot should be but the most important legacy he had left to the Germans was the Dicta Boelcke. This is a set of rules he has created for air combat, techniques and tactics on how to become a standard pilot. He stressed on formation fighting instead of fighting single-handed in order to succeed in each battle. "I fly close to my man, aim well and then of course he falls down". "Try to secure advantages before attacking. If possible, keep the sun behind you". "Always carry through an attack when you have started it". "Fire only at close range, and only when your opponent is properly in your sights". "Always keep your eye on your opponent, and never let yourself be deceived by ruses". "In any form of attack it is essential to assail your opponent from behind". "If your opponent dives on you, do not try to evade his onslaught, but fly to meet it". "When over the enemy's lines never forget your own line of retreat". "For the Staffel: Attack on principle in groups of four or six. When the fight breaks up into a series of single combats, take care that several do not go for one opponent". This picture of Oswald Boelckeis Copyright © June 2014 Siteseen Ltd. We only allow this picture to be used for printed non-commercial purposes and particularly encourage it's use for printed educational non-commercial purposes. This Oswald Boelckepicture is not in the Public Domain. 3) Use of this Oswald Boelckepicture, or any of our pictures on websites re-distributing copyright free material is strictly prohibited.